/EIN News/ -- NEW YORK, April 16, 2019 (GLOBE NEWSWIRE) -- CPhI North America, an industry-leading event that brings together the complete North American pharma supply chain, today announced its keynote speakers for 2019: Former United States Senator Jeff Flake, and Numerate Chief Technology Officer and Co-Founder Dr. Brandon Allgood, Ph.D. Senator Flake will present his keynote address, on Tuesday, April 30 from 1:30 to 2:15 p.m., and Allgood will present his keynote during the same time slot on Wednesday, May 1. 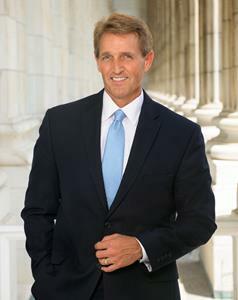 Former Senator Jeff Flake will address CPhI North America 2019 on Tuesday April 30. CPhI North America will take place from April 30 to May 2 at Lakeside Center, McCormick Place, Chicago. Both keynotes feed into the show’s central theme of Fostering Innovation in Drug Development and Manufacturing in a New Era of Regulation. With nearly two decades of experience on Capitol Hill in both the Senate and the House of Representatives, Senator Jeff Flake is renowned for his bravery in speaking out against the current administration, his principled stands on spending and free trade, and his shrewd negotiations and bipartisanship on complicated issues such as immigration. During his keynote, Senator Flake will share his views on pharma manufacturing, healthcare innovation and the direction of healthcare as he sees it under our current structure of divided government, as well as scenarios as he sees them for beyond 2020. This discussion comes at a time when healthcare is one of the key and most contentious focal areas of American politics, particularly in the run-up to the 2020 Presidential Election. 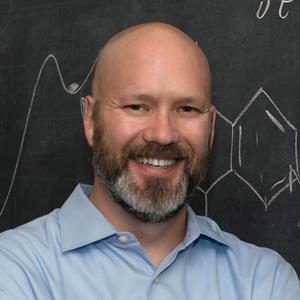 As the Chief Technology Officer and co-founder of Numerate, which uses drug discovery data and Artificial Intelligence (AI) algorithms to accelerate and optimize the drug discovery process, Brandon Allgood currently leads research and development for Numerate’s AI platform. He has 15 years of experience in AI, mathematical modeling, and large-scale cloud and distributed computing. In Dr. Allgood’s presentation, he will discuss innovation from a technology perspective. He will introduce the topic of AI and discuss how it is already being used in the pharmaceutical industry. He will then share his opinion on where the industry needs to head, what organizations need to consider for the increasing implementation of AI and what the industry is currently doing to get there. Both keynote presentations will be open to all CPhI North America pass types. To register to attend CPhI North America, go to https://chemical.connect.ubm.com/2019/. Media interested in arranging interviews with the keynote speakers should contact Alyssa Salela at CG Life at asalela@cglife.com. CPhI is organized by UBM, which in June 2018 combined with Informa PLC to become a leading B2B information services group and the largest B2B Events organizer in the world. To learn more and for the latest news and information, visit www.ubm.com and www.informa.com.